Sign up and receive Property Email Alerts of Houses for sale in New Ogbogo, Accra. This is an uncompleted property sitting on a good-sized compound of about 0.18 of an acre. 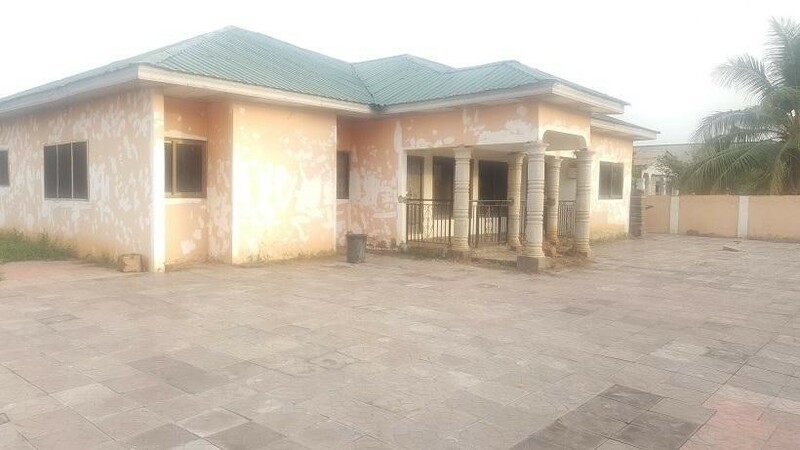 It is located in quiet neighborhood in New Ogbojo, close to the popular St. Peters Mission School. The development which is spread over a floor has five en-suite bedrooms with a large living/dining area and an open kitchen. The property also boasts a large compound with lawns and ample parking provision. Sign-up and receive Property Email Alerts of Houses for sale in New Ogbogo, Accra.